Alright, this photo isn’t exactly the best representation of ProjectConnect, but hey it works. Plus we have a really fantastic event and opportunity to tell you about so we might as well use flirtation tactics. What is a flirtation tactic using social media to really connect? Funny you should ask, we have an event that you must attend to learn all about this and more. We have partnered with Social Bling on this experminental event that will take place tomorrow. Here is the official FB event page with all the naughty little details that I will also include here in case you aren’t ready to click yet. 7:30 –7:50 – Social Experiment kickoff and presentation from Sponsors. 9:00 – 10:00 – Results and Honorably Mentions. SocialBling present ProjectConnect, An interactive social experiment using social media to inspire real life activities and connections. Tools (suggested, not required): Web-enabled phones connected to your social networks, persuasion/flirtation skills and a readiness to meet new people and have great time. Why? – Because having fun while expanding your cerebral and emotional intelligence sounds like a good way to spend a Tuesday night. 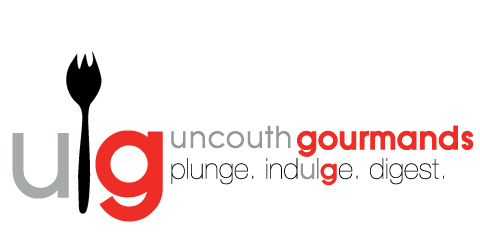 Send us your most Uncouth Gourmand moment in a Tweet (@uncouthgourmand) or as a comment on here in 140 characters or less by 4:59pm today. Good luck and we hope to see you tomorrow! Even if you don’t win you can still be a winner (as opposed to a loser) by buying your ticket here by 3pm tomorrow. Veronica’s Winner: My mom sent me to etiquette school b/c I gave a Swedish massage to a baked potato in a fancy restaurant… I was 15.